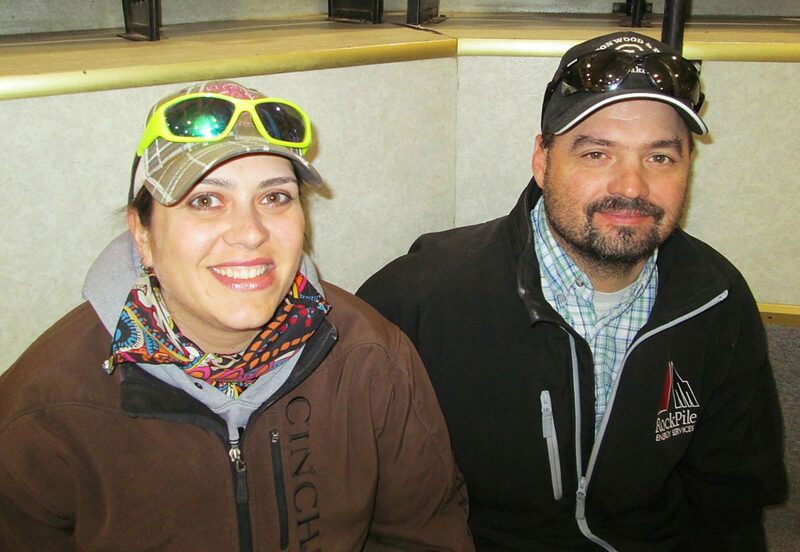 Brittany Huggins and Bob Arnold from Kilgore, Nebraska, bought three bulls. 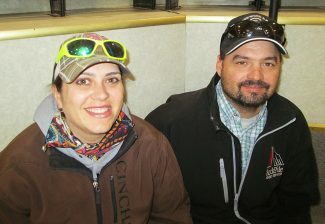 Zach and Joy Kinsey of Soreide Charolais, Bowman, North Dakota. Schmidt Cattle Company from Gordon, Nebraska, hosted another large crowd for their annual bull sale, held at Sheridan Livestock in northwestern Nebraska. Randy and Marj Schmidt, along with their family, produce one of the top sets of Charolais cattle in the midwest. Schmidts focus their breeding goals on raising bulls that will sire quality, heavy calves for their feeder cattle customers. Many repeat buyers were on the seats. Randy has built a special loyalty to his customers. 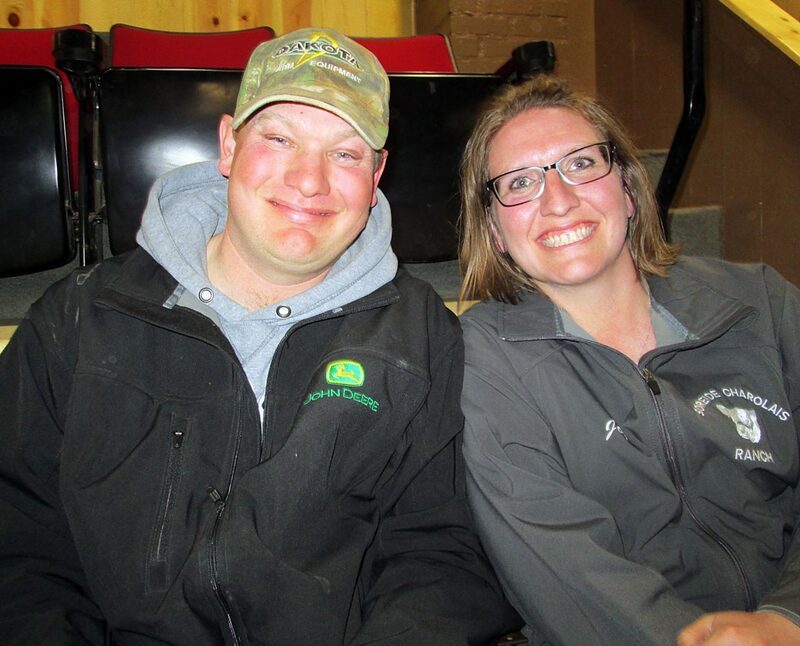 He purchased many Charolais cross calves last fall, and many of them would have come from his bull customers.